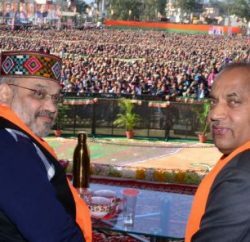 In the 2012 Himachal Assembly Election, BJP has conceded defeat with senior leader Shanta Kumar saying that the party accepts the poll verdict. He said that BJP workers and its leaders worked hard for the election, but voters thinks otherwise and consequently voted BJP party out of the power. 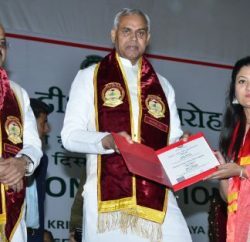 Earlier, chief minister Prem Kumar Dhumal appeared prepared to accept the worst and had accepted the poll defeat. In his address, Mr. Dhumal has welcomed the decision of people. Senior Nation party leader Arun Jaitley believes that factional has hurt BJP chances in Himachal Pradesh. He stated that Dhumal led BJP Govt has made good progress in Hill state and was poised to repeat the Govt, but rebel candidates in the fray have marred the party chances this time. The Congress, which put up a spirited campaign under former chief minister Virbhadra Singh, successfully returns to power in Himachal Pradesh.